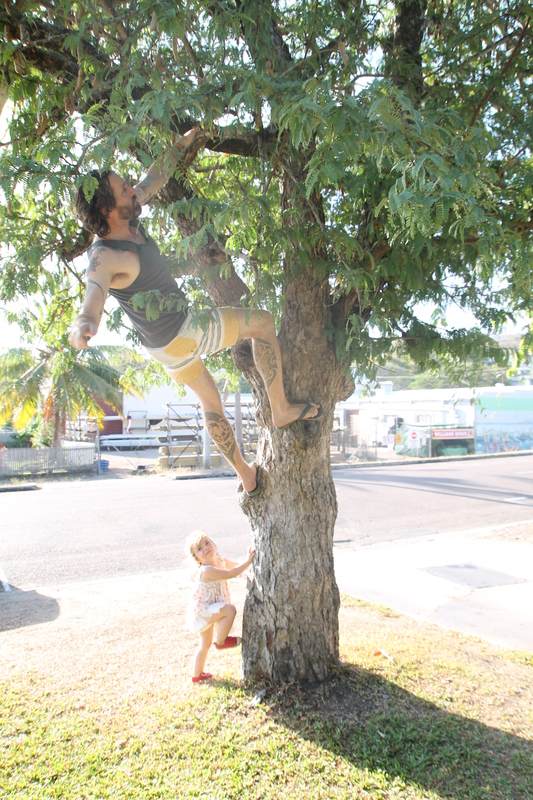 Stealing fruit, especially apples, from someone else’s trees. British. It’s considered less bad than, say, shoplifting, but adults still disapprove. My Dad, from the Midlands of England used to get a kick out of scrumping as a boy, and continuing this tradition, albeit misplaced on a remote tropical island on the other side of the planet, I took my young two year old daughter Sass on her first raiding party. 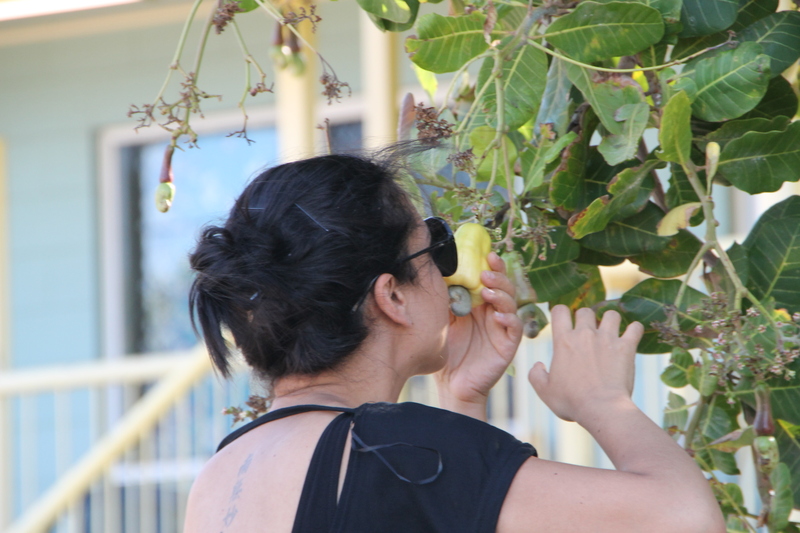 However, on Thursday Island (TI), there is not a single apple tree – there are however mangoes everywhere, to the point I become blase about them. 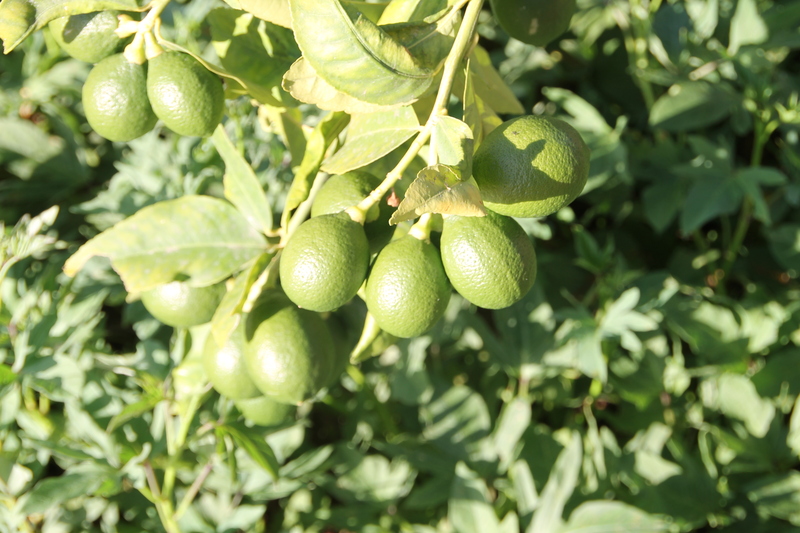 They fill the gutters, ferment in piles and perfume the air with a rich sweet odor. 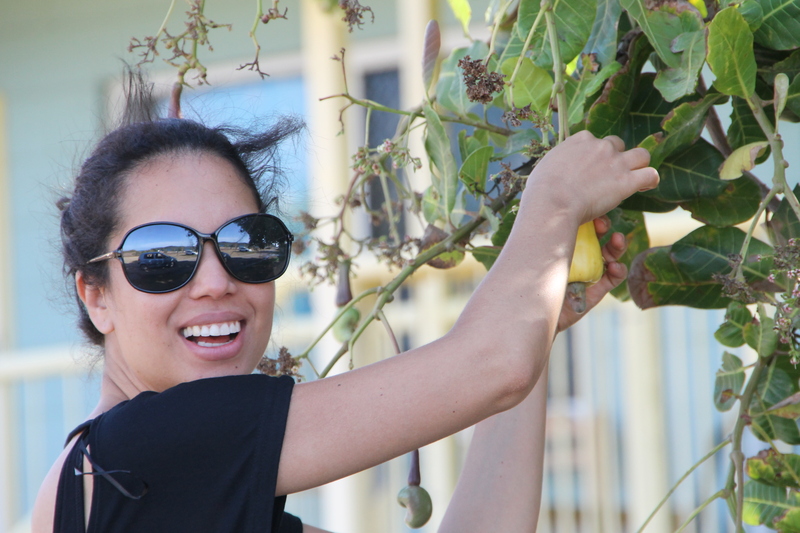 We still felt the adrenaline race as we raided gardens for the unwanted fruit. 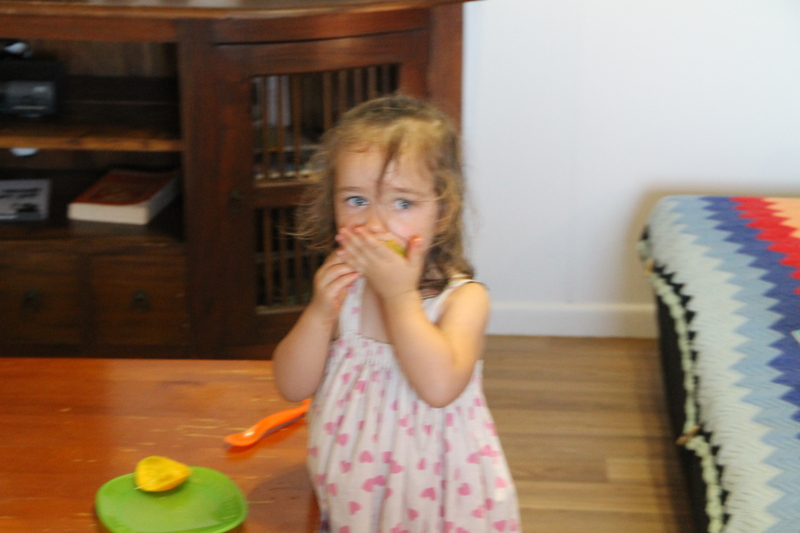 Sass has developed ‘mango fever’, where the word ‘Mangos?’ is always said a s a request. 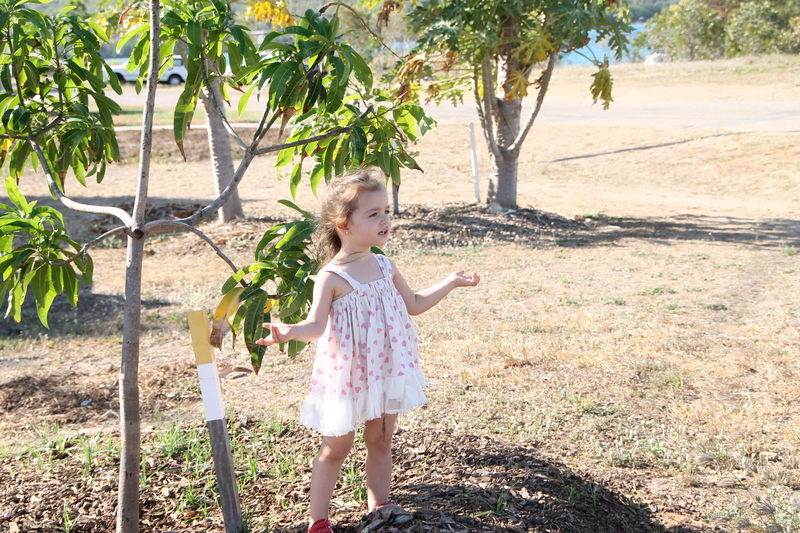 “Mangoes, where are you,” she said after inspecting a barren tree. 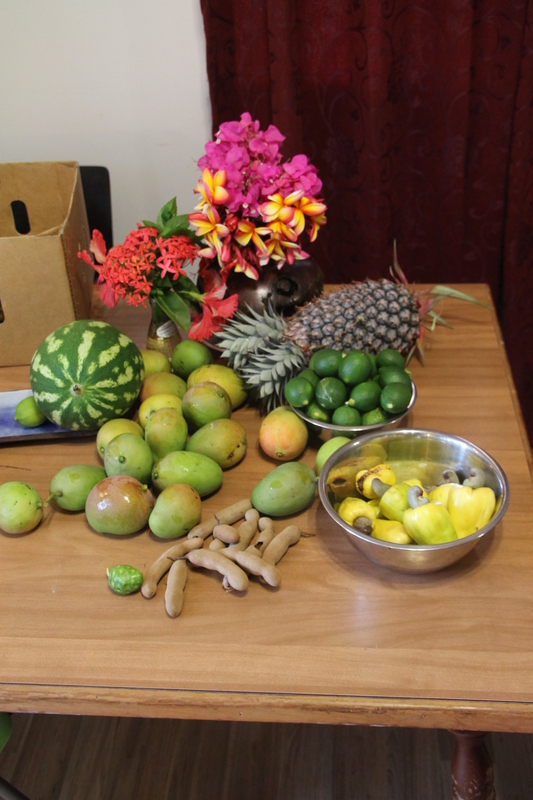 As well as mangoes there are coconuts – but they prove a little bit harder to grab, as well as a Tamarind tree, which I scrumped, but am unsure what do to with the bounty. 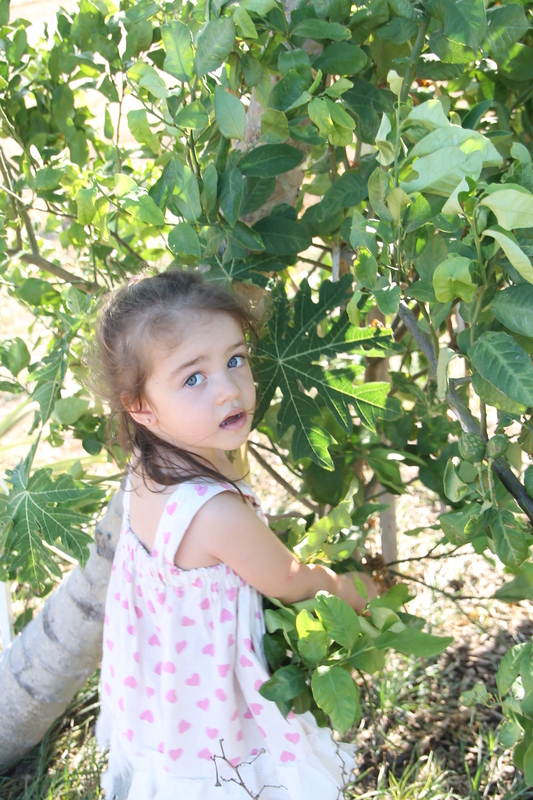 My wife Vivi squealed with excitement when she discover a Caju Tree in someone’s garden, a fruit she has not seen since leaving Brasil. We managed to liberate enough to make a fresh juice. 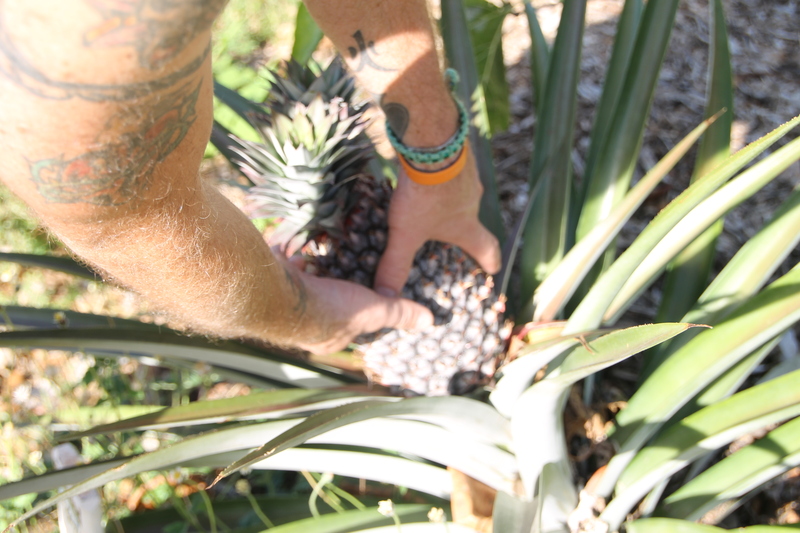 Also on the Island, the local TAFE Horticulture teacher, George Ernst, has established some 58 ‘Kai Kai’ (Ailan for food) Community gardens, which are grown in public space – for, well the public to enjoy. SO not technically ‘scrumping’, this increased our haul to include limes, pineapples, watermelon, chilli and lemongrass. Sass enjoying the spoils of the raid.